McClintock Distilling of McClintock, Frederick MD, has signed up to present tastings and offer bottle sales at the Allegany Museum Whiskey Rebellion Fest, brought to you by the Community Trust Fund. Since we saw them at the 2018 fest, McClintock has won double gold at one of the oldest and most respected competitions in the US, the San Francisco World Spirits Competition. Matchstick Straight Bourbon placed among the top rated bourbons in the world and was considered with the giants like Knob Creek, Jim Beam and Henry McKenna. As well, McClintock will be releasing their all-natural Spring Liqueur, the Blood Orange Saffron Cordial in time for the Fest, and their pink Gardener’s Gin will also be ready. Join us Friday June 7 2018, 6 to 10 pm, to learn about their unique distilling methods for whiskey and gin, and sample their offerings. 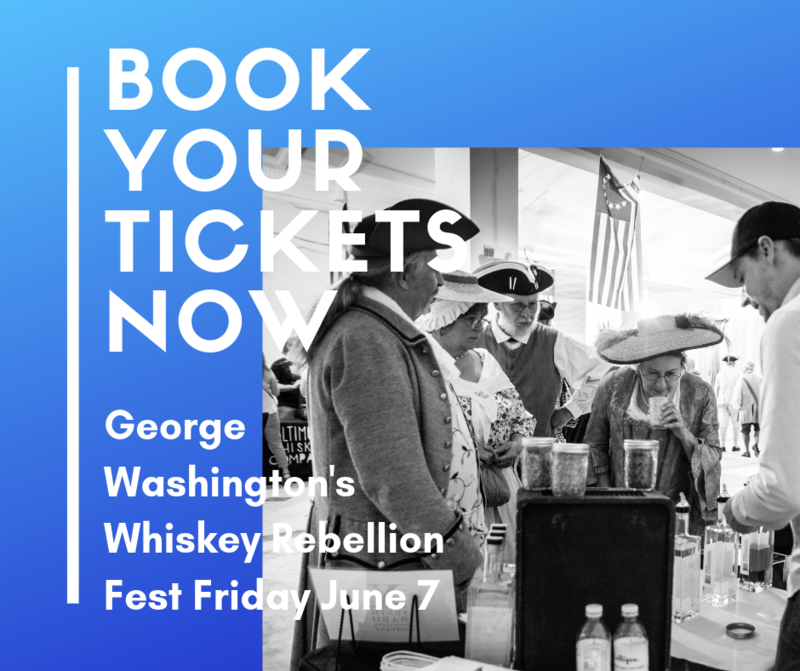 Tickets to the Whiskey Rebellion Fest are $50 ($75 at the door), and include all tastings, a goodie bag, photo with ‘President Washington’, and presentation of cigar/whiskey pairings on the magnificent first floor. Colonial pub games, historical re-enactments, a silent auction (win NASCAR tickets! ), delicious appetizers, brown sugar and bourbon ice-cream, coffee ‘cocktails’, and music by the Craig Miller Trio will be provided on the second floor. Tickets can be booked through www.whiskeyrebellioncumberland.com, on the Whiskey Rebellion Facebook page, or purchased at the Book Center, N. Centre St. Cumberland, and Main Street Books in Frostburg.